Divorce and family law is an excruciatingly painful experience. 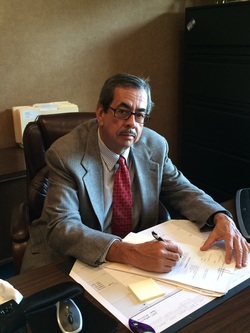 As a top metro Detroit divorce and family lawyer with over 32 years of experience. John J. Finn understands that divorce law is not only about legal concerns, there is also a personal element to help get his clients through some tough times. The financial uncertainty is overwhelming. Deciding who gets what property, how pensions are divided, and who gets the house is hard. You want to be fair but you have to be fair to yourself, too. What about the kids? This law office has been in the in the Downriver Michigan area and Mr. Finn has focused on divorce and family law for 32 years. It is his goal to explain, in terms and concepts you can understand, the process you are facing. Once you have an understanding, you will be better informed so you can participate in the divorce process. It’s your life. You have to live with the outcome. We will be sure you aren’t taken advantage of and the results are fair for you. You need to know what you are getting into from the start. Divorce Michigan is a no-fault divorce state. This means you do not have to prove fault in order to get a divorce only the divorce definition Family Law at there is a breakdown in the marriage and there is no chance of reconciliation. Divorces can take anywhere from 90 days to a year depending on how much the parties agree or disagree and whether or not there are children. While most cases settle, those that don’t go to a trial. With or without children, contested or uncontested, before making any decisions about your divorce, you need to speak with a divorce lawyer. We are familiar with the law, the local judges and local court rules and can help you best understand your situation. While we prepare every case as if it is going to go to trial, that is the rule and not the exception, but we seek to help our clients find middle ground and reach an agreement.